When Genevieve Dubois returned to Curmudgeon Avenue, this opened up the opportunity for Edna to realise her long held dream of escaping to France. But as Edna embraces all things European, Genevieve appears to be shying away from her French roots. Meanwhile, returning to Curmudgeon Avenue for the third time, the wind had blown in the truth about the tall, handsome stranger and although Harold and Edith had been relieved to discover that he is neither an elephant detective, nor a fraud investigator, Toonan had been a little disappointed that he was not interested in her either. Matteo Dubois was looking for his mother, Genevieve Dubois, and although he did not find her on Curmudgeon Avenue, you have probably guessed that he is about to cause a disturbance- FINALLY! There is hope that the set of nincompoops that live here currently will move out, and leave me in peace! Edna had already escaped with Genevieve to France, which was a real shame for me, because Edna was one of the less annoying ones. 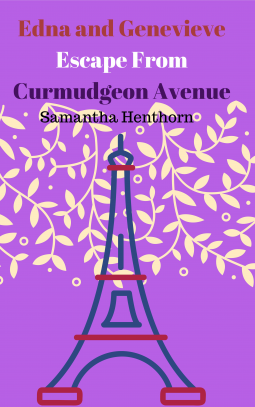 This delightful third off-beat comedy romance book in the Curmudgeon Avenue series will make you smile. This is the third book in what I hope to be a long running series. The first book is available for free here: https://dl.bookfunnel.com/t988savtz5 Samantha Henthorn lives happily in Bury near Manchester UK with her husband, two cats and one dog. She has a grown up daughter. She had a twenty year nursing career but was forced to give up in 2014 due to having MS. She has been studying a Creative Writing degree and writing ever since. She hopes that a few readers would be kind enough to read her books.